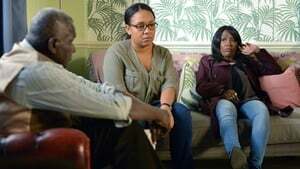 Denise's family rallies round her, but will she listen to their advice? Babe begins to meddle in someone's relationship, but what does she have planned? Ben has a tough decision to make. Kush tries to help Martin out. Denise ignores her families concerns and continues to maintain contact with Lucas. Kathy is confronted by someone who she wasn't expecting. Les takes action in order to win Pam back. Two residents find that the tension gets too much. Tina shares what she's worried about with Sonia. Martin gets to his breaking point. Abi has doubts. Sharon hopes her idea to solve all her problems goes to plan. Stacey makes a decision that will change her life. Martin remains determined to help Stacey and goes to great lengths to protect her. After talking to Sharon, Kush realises he needs to step up his game. Reeling from his discovery, Martin heads to see Stacey. It's the day of Pearl's first birthday party, but Claudette and Kim find themselves at each other's throats when they both have different ideas in mind. 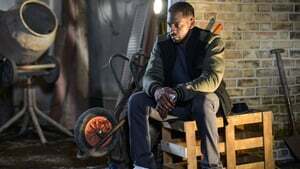 Tensions are high when a fuming Abi struggles to come to terms with Ben's latest admission, and they are both forced to take action. The Beales receive an offer on the restaurant but is it all as perfect as it seems? 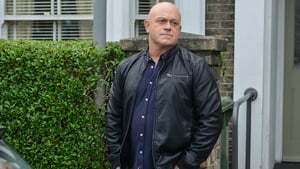 Nancy is left upset when Mick surprises Lee with a brand new car. However, the day quickly takes a turn. It's the day of Paul's birthday party and Abi finds herself being pulled in by Babe to help. Babe, however, seems to have other ideas in mind. Further truths come to light for Whitney and Lee, but will they stand by each other? Abi begins to have doubts about her lies - is the truth about to come out? Honey comes up with an idea to cheer Ronnie up, but how will she react? Lee and Nancy reach breaking point, threatening to tear the Carter family apart. Claudette is haunted by a face from the past. Ronnie must come to a decision about her future. After visiting Lucas, Denise finds herself in a tough situation. Mick and Linda attempt to reunite the Carter family, but will their plan work? A worried Patrick learns of Denise's intentions, but can he convince her otherwise? Tensions simmer for the Hubbards, and Linda comes up with an idea to help her daughter. As shocking truths come to light, all hell breaks loose. The Carters reach breaking point. Mother's day takes a sinister turn for one family and events spiral out of control. Will all make it out alive? 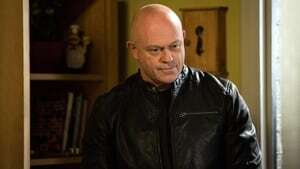 Tim returns to Albert Square to see Ronnie, but why? Ronnie comes to a realisation about her feelings, but is it too late? The dramatic fallout from Mother's Day sends shockwaves through the Square. Ronnie is forced to answer some questions, but will she admit the truth? Nancy opens up to her family. The Foxs and Hubbards reel from the events of Mother's Day. Tragedy strikes for the Carters. One resident struggles to keep a dark secret. 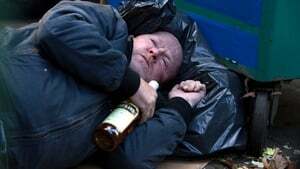 Phil continues on his downward spiral, but can anyone get through to him? 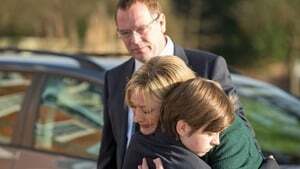 The Carter family realise their lives may never be the same. Shocking truths come to light threatening to tear one family apart. Kush gets more than he bargained for when a familiar face returns to the Square. The Carters continue to drift apart. Phil turns to an old friend for help but will they listen? One resident makes a tough decision about their future. Stacey returns to the Square for a day visit, but will all go to plan? Phil attempts to rekindle an old flame while Denise gives Kush a reality check. Kyle and Stacey talk about the past. Kush's behaviour spirals out of control, while Mick confides in a worried Shirley about recent events. 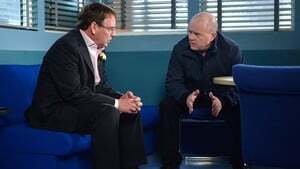 Mick seeks advice from another Walford couple. One resident reveals some exciting news. Phil is given another chance, but will he stick to the terms? Abi turns to Babe for help with her lie, but what does Babe have planned? It's the day of the Easter egg hunt but tensions simmer among the residents. The Mitchells are left outraged by Phil's latest act. Phil's behaviour spirals out of control and all hell breaks loose in the Square with disastrous consequences. Linda tries to get through to Mick. Linda comes to a devastating realisation. 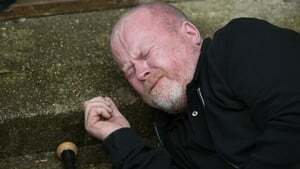 The Square reels from Phil's actions, but can anyone get through to him? Denise gets a shock. 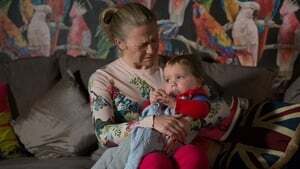 Linda remains determined to reunite her family. 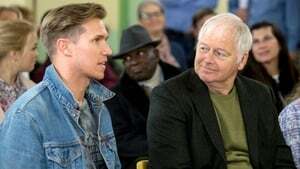 The tension grows between one Walford couple. Denise is determined not to let history repeat itself. Louise tries to take control, while Denise faces reality. Tina attempts to make amends with Sonia but things don't go to plan. Abi and Louise find themselves at each other's throats. 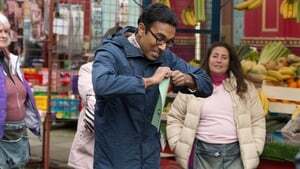 Ronnie and Sharon bond and reunite with a familiar face while Tamwar tries to help another Walford resident. Ronnie is left shaken to the core. Abi's world falls apart, but is there a way out? 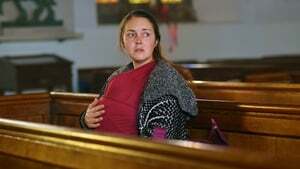 Stacey receives some positive news. One resident makes a worrying discovery. Ronnie offers a helping hand, but is all as it seems? Kyle and Stacey have a heart-to-heart. 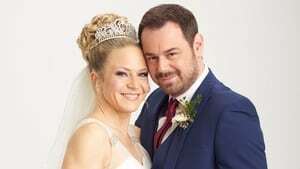 Mick and Sharon come up with an idea to cheer up Linda, Louise grows frustrated at Abi's meddling with her family and one resident learns a life-changing truth. Upsetting truths come to light for one resident. Martin and Kyle worry that Stacey has taken on too much when she holds a family lunch. Ben makes a big decision about his future. Linzi surprises Jay as he is getting money out at the Tube Station. They discuss their plans for later; they are going to a hotel. Linzi has bought something special for the occasion and Jay asks for a preview on his phone. Jay returns to Phil’s as Louise enters the kitchen in her school uniform. It’s her first day at Walford High. Phil comments on the inappropriate length of her skirt. Jay offers to take her to school while Phil goes to the hospital for a breathalyser test. Jay receives a picture message from Linzi. Louise’s face lights up when she finds out Jay is taking her to school. Sharon reaches out to Ben and Jay, while Masood receives some surprising news. Despite some disappointing news, Nancy remains determined to go through with her plan. Louise continues to cause trouble for the Mitchells. Ben makes a big decision, but will he get the reaction he hoped for? Libby drops a bombshell on Denise. Libby is stunned by Denise's behaviour. Phil returns to his old ways. Ian drops a bombshell on the residents of Albert Square but how will they react? Tina turns to Mick for support. The tension grows between Kyle and Andy. One resident attempts to move forward with their love life. Tina faces the consequences of her recent actions. Stacey worries about Kyle and encourages him to open up. Ian is left fuming by the actions of certain residents. Kyle meets with someone from his past, but will all go to plan? Sonia faces the reality of her situation. 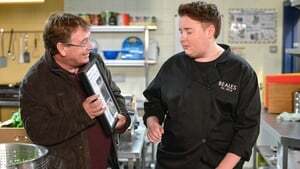 Ronnie tries to support a familiar face despite Jack's advice. Carmel goes to meet with an old flame but will all go to plan? Stacey learns a worrying truth about Martin, who turns to Andy for help. Jane and Ian have upsetting news for one resident. Aunt Sal and Phil arrive looking for Peggy. Mick and Linda find themselves in an awkward situation. Sonia puts on a brave face ahead of her hospital appointment. 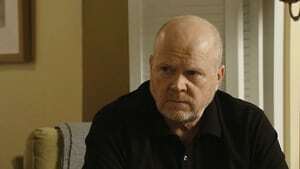 Phil learns some upsetting news about Peggy. Tina grows concerned about Sonia. Sharon does her best to help the Beales, but things quickly take a turn for the worse. Denise reaches out to an old friend. Ian reels from his latest discovery, and things continue to go downhill. Sharon turns to Linda for support. Ian struggles to come to terms with everything that has happened. Sharon does her best to help Phil, but will she get the reaction she hopes for? Lauren is back in Albert Square, but how will her friends and family react to her return? Roxy makes a decision about her future. Ian receives some devastating news. Abi learns a shocking truth. Ian gets a wake-up call and Kim finds herself in an uncomfortable position. Jane and Ian contemplate Bobby's future, Mick attempts to help Belinda with her problems, and Bex grows frustrated at Martin's interference. All hell breaks loose for the Mitchells. Pam makes a risky decision. Denise shares some advice with Carmel but will she listen? Sharon makes the final arrangements for Peggy's funeral. 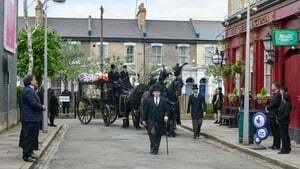 It is an emotional day in Albert Square as the Mitchells say a final goodbye to their beloved Peggy. 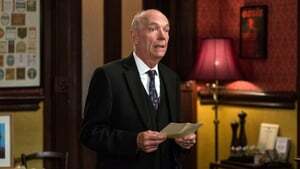 Jack struggles with Richard's presence in the Square. Kathy finds herself in a dangerous situation. Sharon learns a worrying truth about Dennis. Jack attempts to reach out to his son. 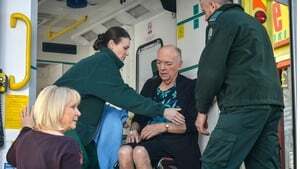 Kathy's ordeal continues, but can anyone help her? Roxy gets to the bottom of what is bothering Sam and does her best to give some advice. Pam suggests a new way to stop the blackmailing problem, but will Les agree? Lauren and Steven attempt to take a step forward, but their plans soon change. Pam is shaken when she sees a face from the past. Honey and Billy receive some frustrating news. Shirley opens up to Linda. Lauren attempts to help her sister but gets more than she bargained for. Pam struggles to hold it together. Kyle is taken back by Andy's behaviour. Whitney turns to Lauren for support. Abi reels from her behaviour. Louise gives Ben a reality check. The Beales and Mitchells are thrown into turmoil. Pam prepares to talk to Paul about the past. Tragedy strikes for one family. Mick tries to get to the bottom of Linda's secret. Lee receives some life-changing news. Lee feels the pressure and starts to question his future. Donna comes to a decision. Shirley attempts to take control of a dangerous situation. Billy makes a worrying discovery. Lee opens up about his fears. Phil struggles to hold his family together. Things grow even worse for Jay. Mick opens up about his past. Whitney turns to Lauren for support - will the truth finally out? Denise finds herself in an uncomfortable situation. Andy pushes forward with his plan. Ronnie is determined to get the truth, but is she putting herself in danger? Sharon goes to desperate lengths to bring the Mitchells back together. Jane returns to the square. Sharon confronts a face from the past. Pam opens up to Claudette. Sharon finds herself in a tricky position. Billy reaches out to Jay for help. Claudette offers her support to Les and Pam. Babe pushes forward with her plan to worm her way back into the Vic, but things take an unexpected turn. Dot plays cupid - but with whom? Carmel takes a big step with her future. The Carters are in shock following recent events. Donna and Vincent make an upsetting discovery. 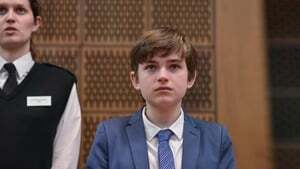 Roxy prepares to give evidence at Dean's trial. Shirley heads to court to give evidence against Dean - but will it all go to plan? Buster grows distant from Shirley. Emotions are running high in Albert Square as the residents wait to hear the outcome of Dean's trial. Buster confides in Kathy. Louise grows suspicious of what Ben is up to. Bex seeks advice from Stacey. Louise does her best to help her brother. Denise has an uncomfortable encounter. Carmel prepares for Shakil's birthday party, but Shakil has other ideas in mind. One resident has their eye on someone. Sharon questions if she and Ian have done the right thing following recent events. All hell breaks loose for the Mitchell family - can Grant help? Kush confides in Stacey over recent events. 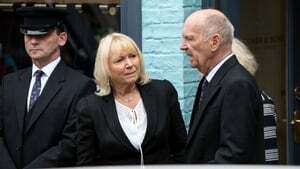 Pam and Les prepare for Paul's funeral. 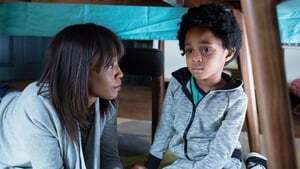 The chaos continues for the Mitchell family as lives are left hanging in the balance. Kim tries to get through to her sister. It is the day of Paul's funeral, but Pam struggles to face reality. One resident finds themselves at the wrath of an old foe. Pam and Les struggle to stay united. Sonia makes a shocking revelation to an unsuspecting Dot. 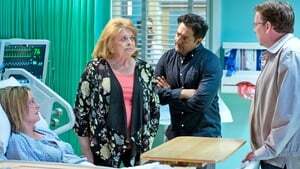 Tensions simmer between Sonia and the Carters. Whitney comes up with an idea to help her and Lee's situation, but how will Linda react? Pam and Les attend the hearing for Paul's killers. 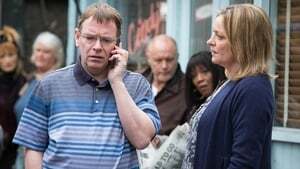 Les reels from Pam's ultimatum and Linda offers support. Sonia tries to get through to Bex. Sharon grows concerned about Ben, but her worries soon turn elsewhere. Tina feels the pressure as she struggles to cope. Stacey and Martin are thrown a lifeline, but can they make it work? 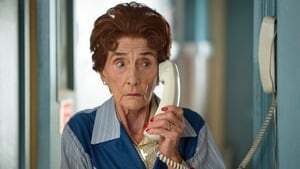 Dot tries to take control of her future, but will all go to plan? Kush is frustrated by his mum's recent actions. Can he get through to her? Honey steps in to help Pam. Mick gives Babe an ultimatum. 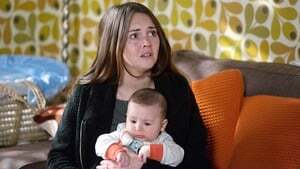 Bex grows paranoid about her relationship with Shaki. Vincent finds himself in an uncomfortable position. Jane's friends rally round to help, Linda gives Babe an ultimatum, and Billy receives some life-changing news. Pam makes a brave decision - but will she get what she hopes for? Ian opens up about his relationship with Jane, and Carmel and Donna get up to no good. Jane tries to get back to normal but soon gets knocked back. Ben hears some upsetting news and things continue to get worse. Emotions are running high in Albert Square. Pam and Les look to the future. Pam makes an upsetting discovery and does her best to help. Steven is taken aback by Lauren's actions. 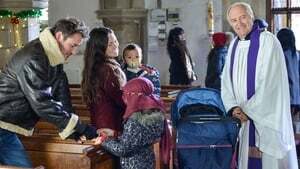 Pam and Les make their final preparations to leave Walford. Lauren and Steven have a difficult conversation. Kim prepares for her theory test, but things get off to a bad start. Stacey learns a worrying truth about Belinda's situation. Lauren does her best to distract Jane from getting too involved at the restaurant. Jane is on a mission to get to the bottom of what is going on at Beale's - will the truth come out? Lee and Whitney plan for the future. Kathy interferes with Ben's plans. Stacey offers some advice to Bex. Sharon is forced to make a decision about Dennis's future. Claudette and Patrick struggle with their relationship. It is Lee's stag do, but what do his friends and family have in store? Claudette goes to desperate lengths to get her way. Whitney's wedding preparations are thrown into chaos. 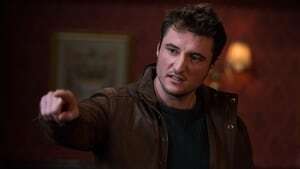 Johnny learns a worrying truth about Lee, but can he convince him to do the right thing? 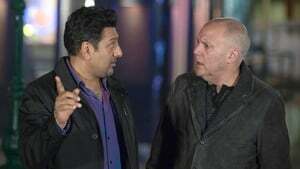 Masood steps in to help Belinda. After months of planning, Whitney and Lee's wedding day has finally arrived, but will they make it down the aisle without a hitch? 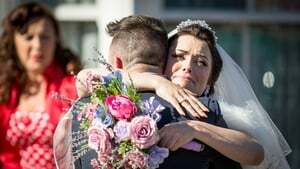 Whitney Pressurises Lee to put a deposit down on a flat, Masood considers saying goodbye to Walford and Ronnie invites Roxy for dinner. Phil receives an update on his condition, Jack tries to build a future for his family, while Whitney and Lee move into their new flat. 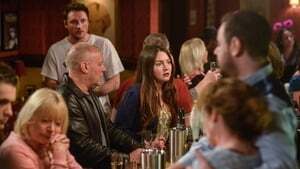 Whitney's suspicions about Lee continue, so Lauren encourages her friend to tal to her husband, while Kyle is torn on whether or not he should accept the job. 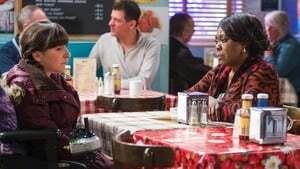 Whitney confronts Lee about his whereabouts, Denise confides in Phil, While Dot goes to the doctor about her eyesight. Ronnie Tells Jack they cant sell up, environment officers turn up at the café, and tensions continue to simmer between Whitney and Lee. 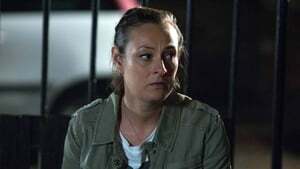 Roxy becomes suspicious of Jack and Honey, Jane is angry with Stacey for breaking her confidence and new director Kathy enlists Denise's help to write a script for the Christmas show..
Roxy opens us to Ronnie about her worries, and the day of Kim's driving test arrives. 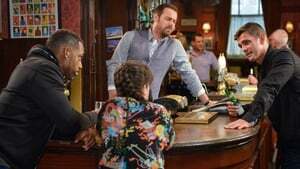 Feeling like an outsider in his own family, Ben Hits the bottle and when Sharon calls a meeting about Phils transplant, he turns up drunk and causes a scene with Kathy. 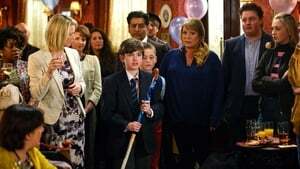 Ronnie confronts Jack, and Denise finds herself in an awkward situation. Things go from bad to worse for Roxy. Patrick gives Denise a touching gift. Kush offers some advice to Shakil. Lauren finds herself on the wrong side of Ian. Roxy is given a harsh reality check. Dot receives some upsetting news. Shakil and Bex discuss their future. Sharon does her best to help Phil, but can she get through to him? Ronnie grows exhausted by Roxy's attitude. Mick comes up with a plan to help Linda get in the festive spirit. The Mitchell family get a shock. Disaster strikes for Billy and Honey. Abi grows concerned about Dot. Roxy continues to feel distant from her family and makes a life-changing decision. Whitney invites her in-laws for Christmas Dinner, and the Square is need of a Christmas Tree. 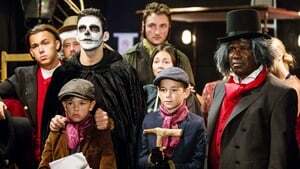 Martin tries to cheer up Bex, Phil has a request for Billy, Sharon makes a heartfelt plea to Ben, and the curtains rises on the Christmas show. 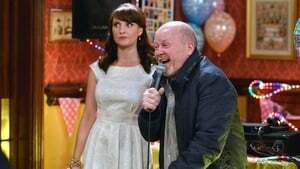 Ben and Louise are confused by Phil's behaviour, while Dot prepares for her retirement party. Phil is left to contemplate his actions. Linda receives some devastating news. 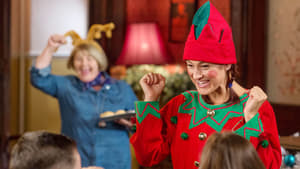 Will the Albert Square residents get the peaceful Christmas they asked for? With past events hanging heavily over Lee, he finds himself in an impossible situation. 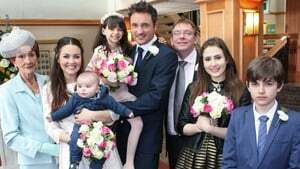 Max Tries to build bridges with his family - although everything may not be as it seems, and the Mitchell sisters enjoy Ronnie's hen party. 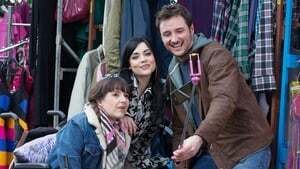 Ronnie encourages Roxy to build bridges with Jack, and Roxy is later left to look after Ricky and Amy alone - but things do not go well. 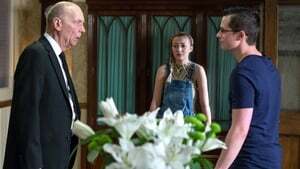 Things come to a head with Lee as he finally reaches breaking point, while Max's retuen continues to cause friction in Albert Square.